One of the biggest joys of running a food company is seeing how the food we make changes the lives of our customers by providing them healthy options that require almost no time to make. That’s the reason I started Methodology. But there’s something really special about working with some fantastic suppliers as well. Before I got started in the food industry, I didn’t think much about how my food got to me. I thought about the stuff I had to do: the shopping, the prep work, the cooking. And that work helped me appreciate my food. But when I started learning about the people behind the scenes, it opened me up to a whole new layer of gratitude. So much work goes into getting food to you and me. So I wanted to introduce you to a few of the suppliers we use so you can see the amazing work they’re doing. First is Asochivite in Guatemala. They supply the cacao that gets used for our Cacao Paste, Cacao Elixir Mix, and our Grain-free Brownies and Brownie Bites. 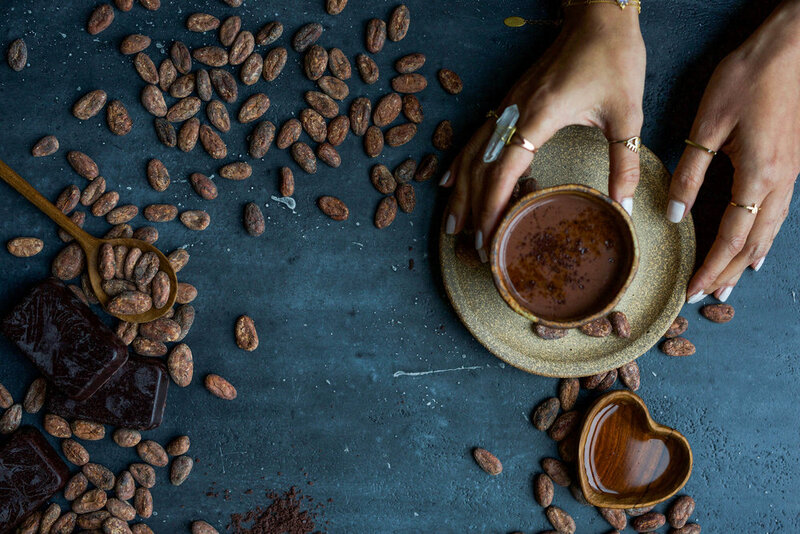 I knew when we brought cacao to our menu, we needed to use high quality cacao so our clients could experience all the amazing benefits without the additives that come in most chocolate bars (like soy lecithin, sugar, or milk). On top of that, I wanted to make sure our farmers were getting fair wages and that their farming practices were sustainable since both are huge issues in the chocolate industry. Earlier this year, a few employees from our team flew to Guatemala to visit some farms, including Asochivite. They showed us how they pick the cacao, hand sort it, dry it in the sun, and ferment it in wooden boxes so it’s ready for consumption. This process allows the bean to keep as many nutrients and enzymes as possible. We also got to meet the farmers themselves. They’re made up of 125 indigenous Maya families who gained ownership of the farm back in 1985 after the original owner abandoned it during the Guatemalan Civil War. Together, they brought it from an unprofitable coffee farm to a successful cacao farm that makes up over 90% of their community’s income. Another partnership just got started with Phat Beetz Youth Pickle Co. in Oakland. Not only do they make the most amazing probiotic pickled veg (with incredible flavor and variety which are always high on our priority list), they also employ at-risk youth to give them an opportunity to build skills, earn money, and learn about nutrition. It’s one of the few products on our menu that we don’t make from scratch in our own kitchen (because it’s THAT good). Right now we carry their kimchi and sauerkraut, but we’re looking into carrying their probiotic hot sauce soon too because it tastes amazing on everything. Then there’s our salmon, which comes from Blue Circle Foods. They sell farmed salmon, but it’s not the kind of farm you’re probably thinking of that’s packed to the gills and pumping fish full of antibiotics, hormones, and GMO food. They work with a farm in Norway that only fills 2% of space with fish so the fish have the other 98% of space to swim freely. Antibiotics, other medications, hormones, and chemicals on nets are never used, even to control parasites. Instead, they use smaller fish that serve as a natural form of parasite control (the same fish that serve this purpose in the wild). And the food given to the fish is of course is non-GMO. Even though Blue Circle Foods sells farmed fish, they follow the sustainability standards set by the Monterey Bay Aquarium Seafood Watch program and actually help reduce strain on wild populations being caused by overfishing as demand for fish (especially salmon) increases. We’re incredibly grateful to work with such amazing suppliers. And as a company that stands for health, we realize how important it is for us to dig into the origins of the companies we source from to make sure we’re working with groups who prepare their ingredients with love and optimize them for consumer health, because that’s the standard we hold ourselves to when we cook our food.